Join Our Proactive Plan for Growth. As our company continues to grow, we recognize how recruiting and retaining skilled and experienced employees contributes to its success – and that’s why we place such an emphasis on valuing every employee in the organization, no matter their role. We are proud of Paradigm’s positive culture and the fun, family-like atmosphere we’ve achieved while maintaining high standards for work performance. We will continue to foster great expectations and accountability throughout the organization, so everyone can help make the company the best it can be. It’s all part of our proactive approach to providing the greatest care and customer service for our patients and referral partners. If you’re ready to join us in our plan to grow bigger and better, apply here today! My name is Dan Willson. I’m a Physical Therapist and Founder & CEO of Paradigm Homecare, an innovative home health care agency based in Plano and Tyler, Texas. I created this message to you for two important reasons: First, we’re looking for qualified professionals to join our company, and second, I wanted to provide you with a unique way to learn more about our company by asking six questions. 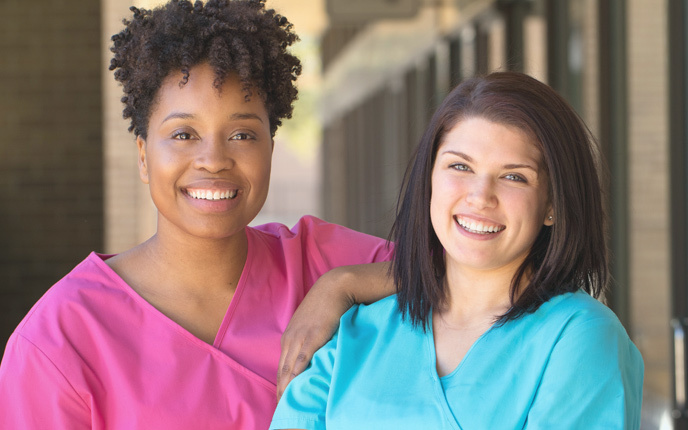 Picking the right Home Health Agency is an important career decision and we want all our employees to feel as though they are part of a team that works as one for our patients. These questions and answers will provide you insight into our philosophy of home health care. Six questions every nurse must ask before deciding to work for a home health agency. Question 1: What percentages of patients are chronic and what percentage have good nursing potential for improvement? Answer: Our recert rates are well below State Averages. We recert our patients appropriately and they have good nursing potential for improvement. Question 2: What is the identity and role of the RN Case Manager? Answer: We use a Field Case Management Model that empowers our RN and their team to care for the patient. Question 3: How does your agency staff nurses appropriately to reduce windshield time so I can spend enough time to take care of patient? Answer: The individual teams have designated areas, we are a larger agency. Each team has a scheduler whose goal is to coordinate area visits on a daily basis. Question 4: What education and mentoring do you provide to new nurse employees? Answer: We have a formal orientation module, online training and mentoring visits with all disciplines. Question 5: How does your on-call schedule work and will I get paid for on-call time and for visits I make while on-call? Answer: Our RN on-call schedule is a rotation consisting of two RNs on call each weekend along with an LVN for routine visits. An hourly rate is paid for non-visit on-call, i.e. carrying the on-call pager, and an elevated visit rate is paid for visits made after hours and weekends in addition to travel time. Question 6: What is your agency’s productivity requirement and how does it consider mileage and give me the opportunity for reward? Answer: We have a productivity requirement that considers mileage driven, visits made and administrative time. There is a productivity bonus to reward productivity in excess of reasonable standards. Six questions every therapist must ask before deciding to work for a home health agency. Question 1: What percentage of your patients has excellent rehab potential? Answer: The majority of our patients have excellent rehab potential. We have a high volume of new admissions on a monthly basis. Question 2: What guidelines do you set for therapy care plans? Answer: Our goal is to educate and promote best evidence-based practices. For example, we use the protocol from our clinical study on Rehabilitation of persons with COPD, published in the Journal of Geriatric Physical Therapy. We have multiple specialty protocols, such as knee and hip replacement, post-op spine and shoulder, vestibular, cardiac and pulmonary protocols that promote rapid recovery. Question 3: What kind of clinical research does your agency participate in to determine best practice? Answer: Paradigm has investigated and published, two methods of in-home pulmonary rehabilitation for persons with COPD. We have clinical studies related to post-op spine care in the home as well as our joint replacement program in process. Question 4: What orthopedists and neurologists actively refer their patients to your agency? Answer: We are the preferred provider for several area orthopedic and neurological groups. Question 5: What steps is your agency taking to allow me, as a therapist, to take a proactive and preventative approach to patient care? Answer: We have preventative programs we deliver in our assisted living facilities, as well as for the orthopedic patient preoperatively, and for patients who are at high risk for readmission for home health services. Question 6: What is your agency's productivity requirement, and how does it consider mileage and give me the opportunity for reward? Answer: We have a productivity requirement that considers mileage driven, types of visits made, and administrative time. When your productivity exceeds this reasonable standard, you are paid a bonus (applicable to salaried employees). Great care starts with great benefits. In order for our employees to provide great care to our patients, we must provide great care to our employees. You will fine Paradigm Homecare has exceptional benefits in a fun and friendly work environment. Are you ready to join a dynamic home health care agency? We are always looking for exceptional nurses, therapist, administratives, and business development professionals to grow our company. If you think you are fit we want to hear from you. Instructions: Click application to open and download our PDF application (Save PDF to your desktop or your changes will not be kept). Fill out the application by typing into the form fields. Then print out the application and fax it along with your letter of interest and resume to (214) 393-9099 or email to: jobs@paradigmhomecare.com. Legal: An Equal Opportunity Employer. Paradigm HomeCare does not discriminate against any person on the basis of race, color, national origin, disability, or age in admission, treatment, or participation in its programs, services and activities, or in employment.